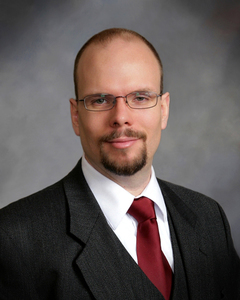 Thank you to everyone who participated in the live chat with Professor David Kyle Johnson on Thursday, January 14, 2016. Professor Johnson truly enjoyed the chance to connect with his fans and students. In case you didn’t get a chance to participate, we’ve posted the live chat for everyone to read. Thanks again! Join Professor David Kyle Johnson for a mind-bending tour of philosophy applied to the forefront of today’s knowledge. Explore the logical inconsistencies, paradoxes, and often unsettling implications of what we “know” about ourselves and the world around us. Professor Johnson is Associate Professor of Philosophy at King’s College, where he teaches metaphysics and other philosophy courses, as well as critical thinking and scientific reasoning. 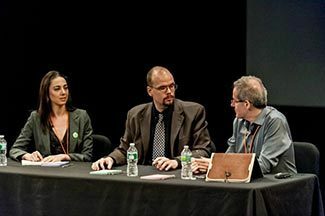 He has won the coveted Kenneth Merrill Graduate Teaching Award, and the American Philosophical Association’s committee gave him an award for his ability to make philosophy accessible to the general public. 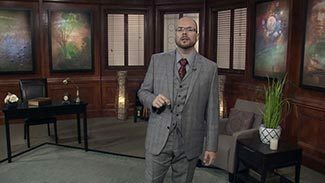 Good evening, and thank you all for joining us tonight as we discuss metaphysics with our esteemed guest, Professor David Kyle Johnson from King’s College. At this time, our chat is now open and you may begin sending your questions to Professor Johnson by clicking on the “Submit a Question” button. It’s a thrill to have a chance to talk to so many curious minds! Thanks so much for the opportunity. Let’s have a great time! Please just give a good definition of metaphysics; also, compatibilism. Thank you. Are there alternate universes out there? Learn more in Metaphysics. I liked your course Exploring Metaphysics. Especially the one about the computer simulation. This is a text based chat, please be patient while the professor is responding. There is an abundance of questions, and we will try to get to as many as possible in this chat. We apologize if we do not get to yours- they are moderated subject to the professor’s approval. Please use appropriate language. If you are having trouble seeing answers, refresh your browser. Thank you! 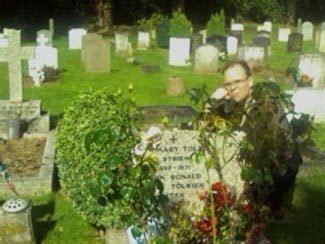 Is metaphysics essentially Platonic in nature, as in his example of Platonic shapes, e.g., material shapes representing idealized forms which exist in another dimension, in a more perfect state? If the mind and brain are separable, as per Mortimer J. Adler, then does brain injury affect only the brain and not the mind? Ask A Question To Enter The Giveaway! 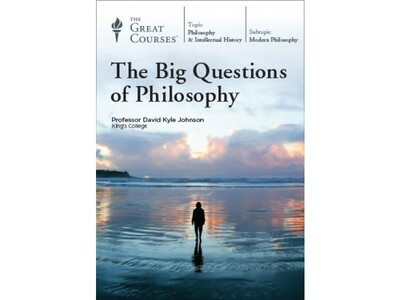 Anyone who asks a question today will be entered to win Professor Johnson's new course, "Big Questions of Philosophy"! Winner will be announced at the end of the chat. What do you think of the philosophic idea of determinism? And, if determinism is not true, doesn't that necessarily mean actions are random? Hi Professor. Does Rawls's "veil of ignorance" extend to answering questions about meaning and existence too? How do you think the mind is connected to the ability to understand dimensions? Multiple realities? How do you feel about the potential new discovery of gravitational waves? Just wondering which do you think is more fundamental, epistemology or metaphysics? Do the physical sciences require us to view the physical world as deterministic? 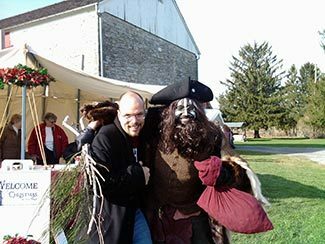 Professor Johnson takes on seven myths of the wintry holiday. Learn more here. 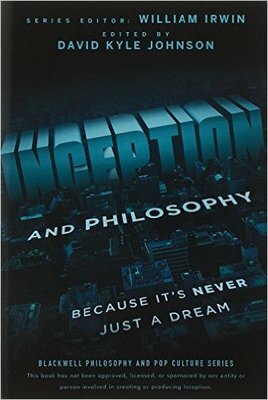 A philosophical look at the movie Inception and its brilliant metaphysical puzzles. Learn more here, and question everything. 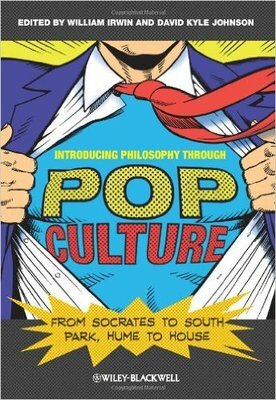 What can South Park tell us about Socrates and the nature of evil? How does The Office help us to understand Sartre and existentialist ethics? Can Battlestar Galactica shed light on the existence of God? Have these questions and more answered! Find it here. 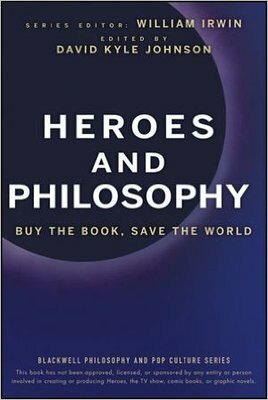 The first unauthorized look at the philosophy behind Heroes, one of TV's most popular shows. Buy the book, save the world. Do you agree that the mind uses the brain to create itself? Examine your life with philosophy now. If one could imagine a color that one has never seen, does that mean the color exists? 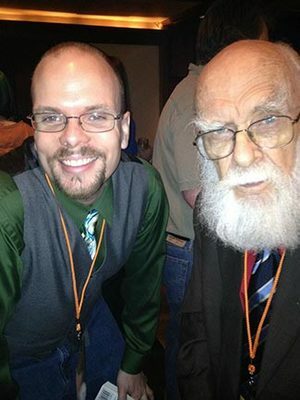 Professor Johnson met James Randi, the famous skeptic, when he presented at NECSS in 2011. 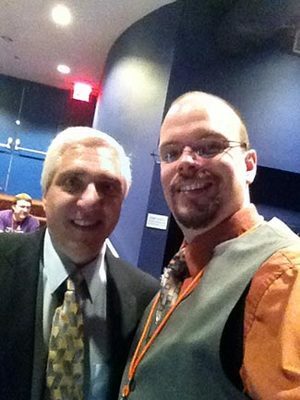 Professor Johnson met fellow Great Courses professor, Steven Novella at NECSS in 2011. 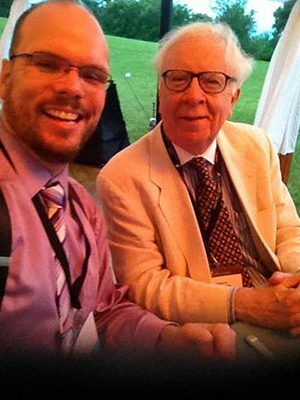 Professor Johnson met fellow Great Courses professor, Professor Richard Restak at the Great Courses 25th Anniversary Professors Summit. This pic was taken at the Thomas Jefferson Estate. Do you think that the unexamined thought is not worth thinking? I am a student of the classical Buddha and modern mindfulness. Are you a lover of wisdom? From Professor Johnson's Metaphysics course. Do humans have free will? Learn more in the Metaphysics course. What’s your opinion on the theory of compatibilist and do you feel it can exist alongside quantum physics? What are your thoughts on the view that the mind is one nonphysical dimension of the person. A human person is a nonphysical (spiritual) entity that has an essential involvement with a particular physical body. The brain, then—a piece of meat that is of more than usual interest—is one part of the embodied dimension of the human person. The brain is integrated by the mind into one life, along with all of the dimensions of the person. If time travel were possible, would the timeline prevent us from changing events that have happened in the past? As far as God existing, I do not think it should be a matter of faith. The Athenians could rationally deduce an architect, a singularity they called "The One". If time travel existed, I would go for the future. I want to find out how this grand social experiment ends! Professor Johnson on the set of his new course, "Big Questions of Philosophy"
Professor Johnson appearing on a live recording of the "Rationally Speaking" podcast. 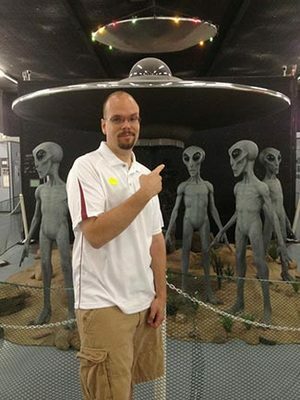 He was speaking on his paper "Natural Evil and the Simulation Hypothesis." It served as the basis for my lectures on the problem of evil in "the big questions." Where do you find a philosopher? 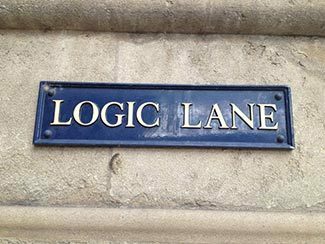 On Logic Lane, of course! 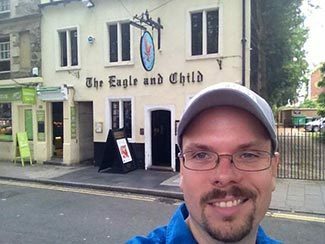 From Professor Johnson's 2014 Oxford trip. If people don't have free will and somebody's doing something wrong like murder, It's because there's something wrong with their brain. So if I could fix their brain in order that they don't do acts that I believe are wrong, what's to say that I'm right in determining what's wrong? Couldn't that turn into the ultimate form of a dogmatic, brainwashing, elitist group? Do you think we connect to each other with prayer and meditation because of our own quantum physics or because the big Great Mind is involved? 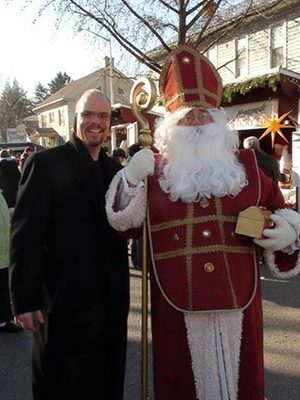 Professor Johnson with St. Nicholas at the Christkindl market in Nuremberg, 2012. 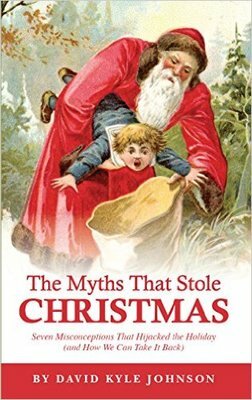 He was researching his new book, "The Myths That Stole Christmas: Seven Misconceptions That hijacked the Holiday (and How We Can Take It Back)"
I am 72 years old and retired. What Philosophers and books do you suggest? I am now free and having difficulty coming to terms harvesting my material success. I long to become more philosophical and or spiritual. Does this make sense? Professor Johnson's courses are on sale now. Visit his professor page HERE to learn more. Congrats to Brad Purfeerst on winning the new course! Please email us at social@teachco.com within the next 48 hours to claim your prize! This was a great set of questions. I saw questions from all over different parts of both my courses. Thanks for your curiosity, joining in and making this a lot of fun! Thank you so much for joining us today. A special thank you goes out to Professor Johnson for taking the time and providing us with such insightful answers to your questions. We would love your feedback on the chat this evening and hope you will join us for future chats with our Great Courses instructors. Thank you. Fun and thought provoking! 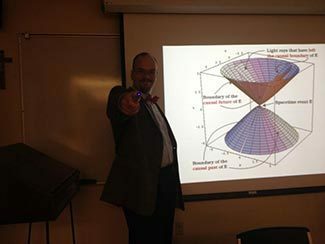 Learn more about Metaphysics in Professor Johnson's course! We’ve received a number of great submissions! Thanks for your patience as Professor Johnson answers your questions as quickly as possible. We apologize, we are currently experiencing technical difficulties. We appreciate your patience as we work to resolve this issue as soon as possible. Tune in next month for a chat with Master of Wine, Professor Jennifer Simmonetti-Bryan, February, 11th at 7pm ET! We've received an abundance of questions for Professor Johnson, and he has graciously agreed to answer more of your questions within the next week! They will be added to the chat transcript. Check back here to see additional questions answered soon.